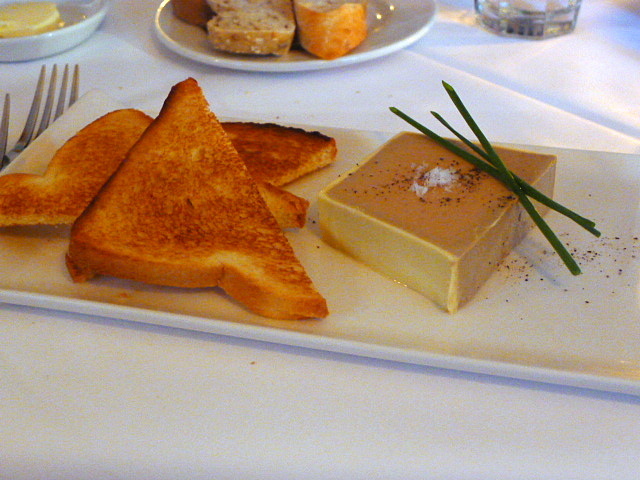 A parfait of foie gras, chicken livers and Armagnac with toasted brioche (£9.75) showed skill in its preparation. It was texturally wonderful due its refined creaminess, but it almost too creamy and needed a stronger element of foie gras and chicken livers for a bolder flavour. Roast cannon of lamb (£23.50) was tender and nicely cooked to a medium rare and accompanied by some pert peas and sweet baby carrots, although the fava beans were slightly overdone. Pancetta enriched the flavour of the accompanying jus which was sweet and moreish, but a bit runny. It bordered on being a broth rather than just a jus. 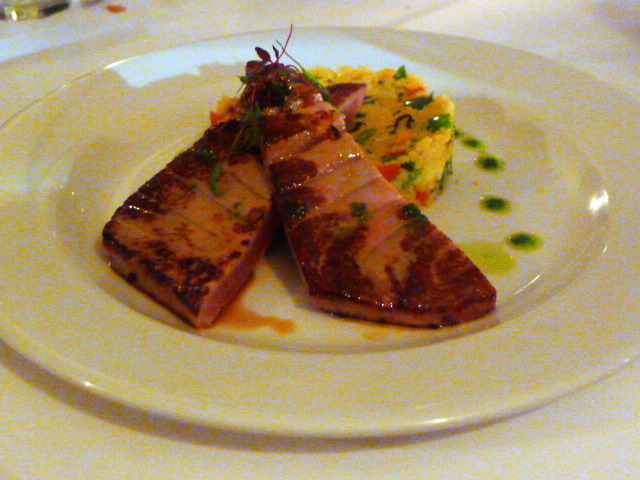 An Asian marinated seared tuna (£17) special of the day served with couscous was well executed with a crispy sear and a medium rare core. The gingery overtones of the marinade was lovely, but the couscous was a little wet and a touch bland. 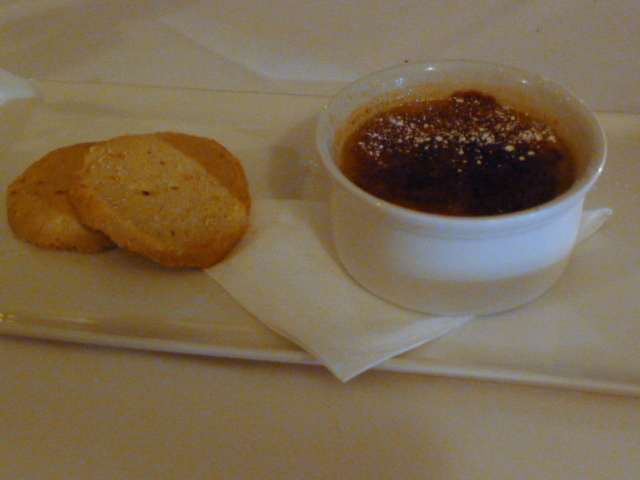 Desserts were excellent with a cappuccino crème brûlée accompanied by lemon shortbread (£6.50) giving way to a sublimely creamy texture. The cappuccino flavour was really gorgeous – distinctive and well judged – and the shortbread biscuits were crispy and buttery. 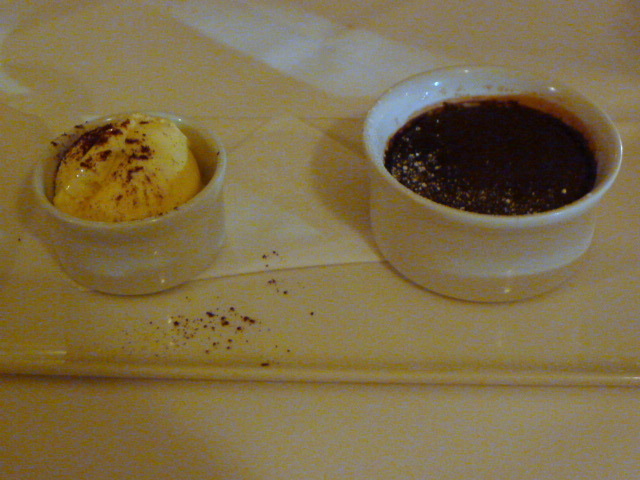 A warm valrhona chocolate pudding with vanilla ice cream (£6.25) was also delightfully enjoyable with a rich chocolate flavour and a soft gooey centre. 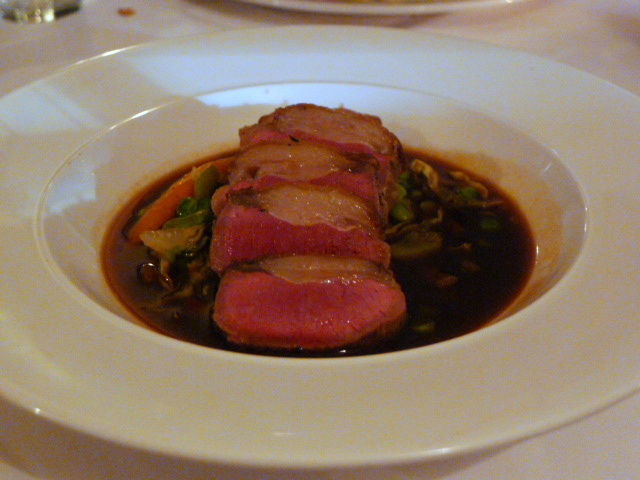 Although not without a few hiccups, the food at The Only Running Footman was very enjoyable. The ingredients were fresh and the cooking was polished which resulted in dishes that were robust and tasty. The restaurant is lovely and smart, but rather quiet in terms of ambiance. The Only Running Footman would therefore serve those looking for an accomplished but unfussy and tranquil dining experience best. We found the service to be congenial and prompt. 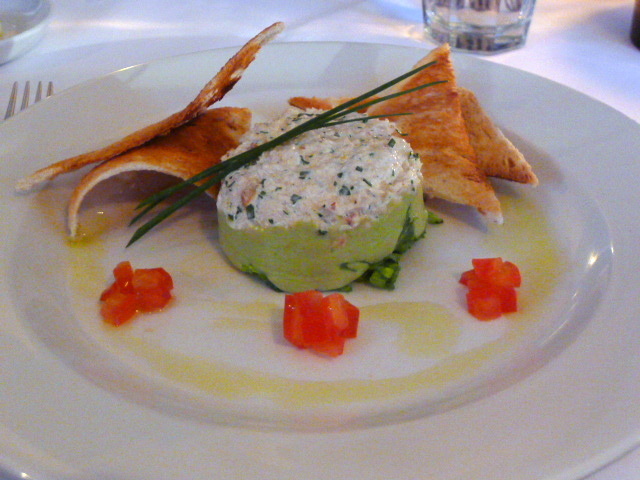 Prices: £28 to £48 for three courses from the restaurant menu. Excludes drinks and service.